Today, I visited “Ginshachi” in Asakusa. 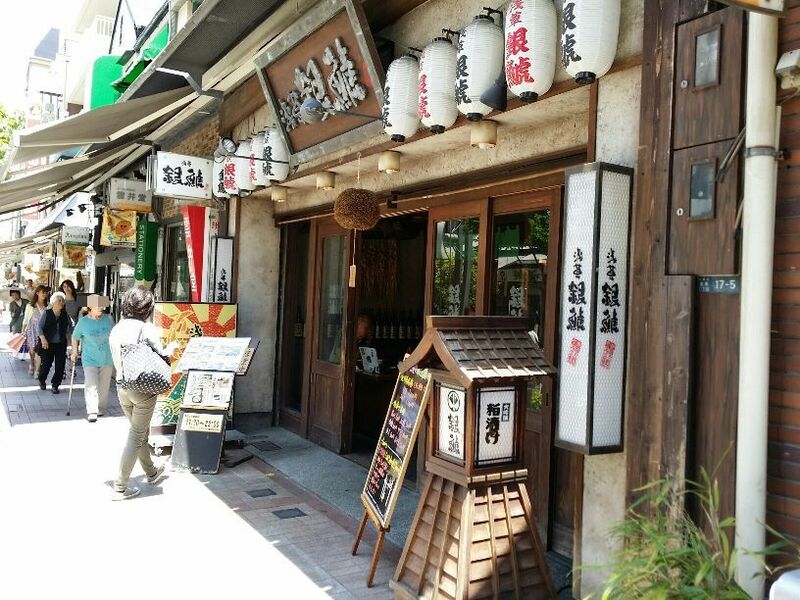 It was located around 3 minutes walk from Asakusa station. I arrived there about 12:00 o’clock. Entrance was narrow, but it was spacy inside. I was asked to go up to 2nd floor, since 1st floor was almost full. There was a menu with pictures of dishes. All of them look delicious. After ling consideration, I decided to order a set of sablefish pickled in sake lees. Here came the dish in 15 minutes. Sable fish was bigger than expected. 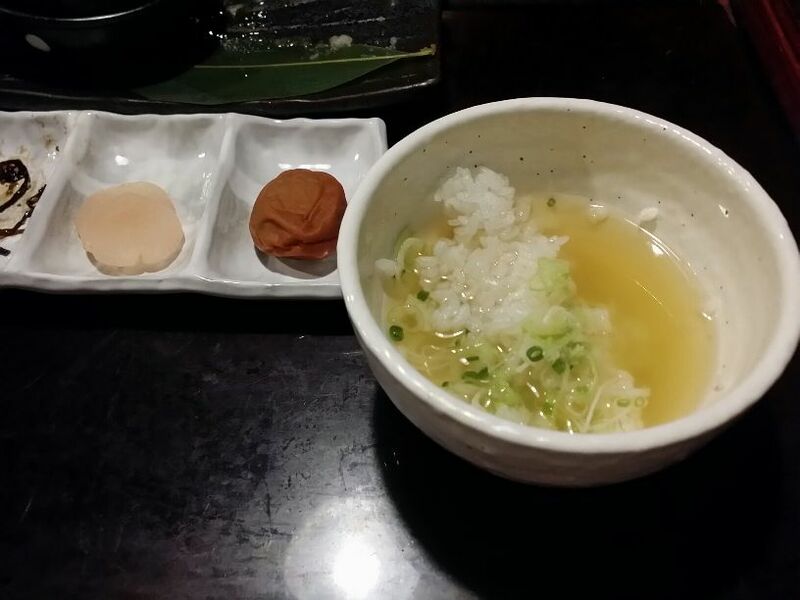 A set included miso soup, pickles and a vinegared dish. 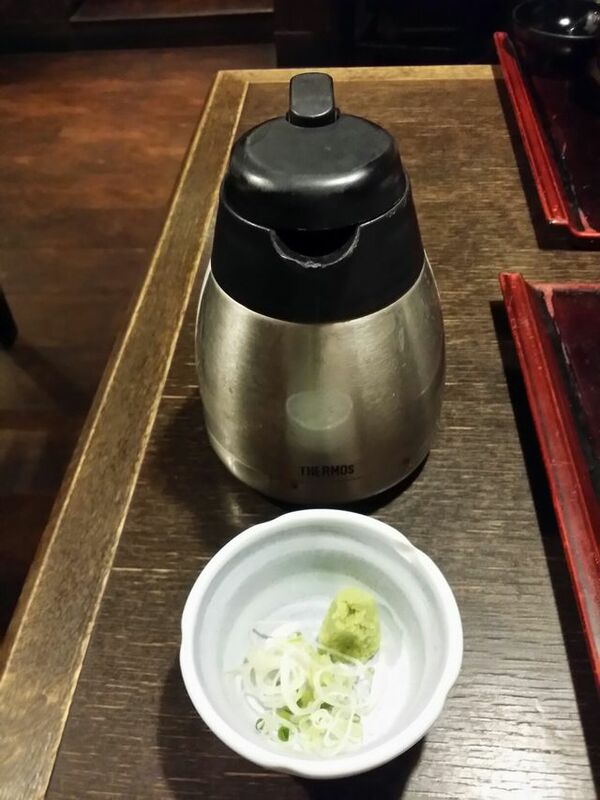 In addition, a pot of soup and wasabi were served. 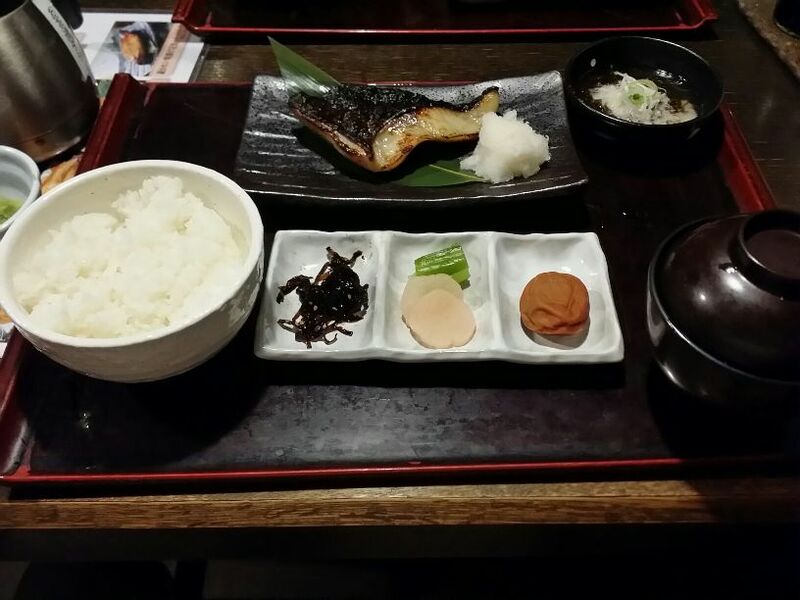 A person in charge recommended to eat rice with soup and wasabi after having finished main dish. Sablefish was fullplump. Not too much sake lees and salt. 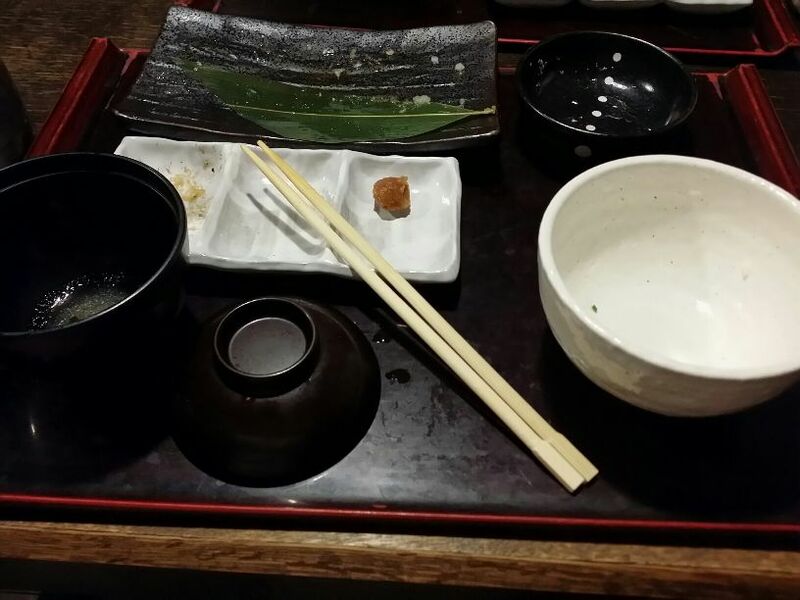 It was really delicious and I finished the fish all at once.!! Next, “Ochaduke”(Rice with soup). Rich taste of soup made one great!! Delicious!! Again, I finished them all all at once with wasabi and pickles.